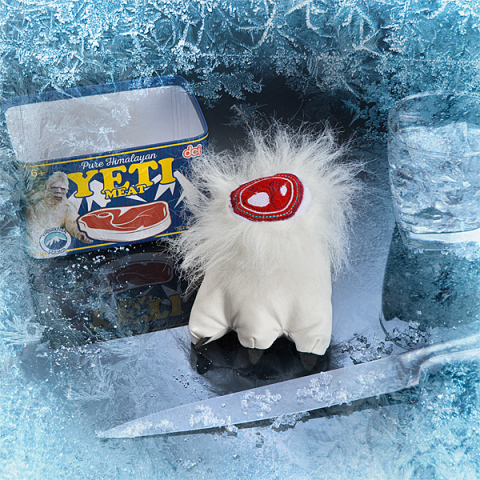 People have been searching for the yeti for hundreds of years and now the reason has become quite clear -- it was for the meat. Yes, this very same protein is reputed to be the reason those mountain Sherpas are able to climb to such high altitudes so easily. Use it in everything -- soups, stews, and sandwiches. It slices, it dices, and it even yodels if you tickle it just right. Okay. You didn't really think it was yeti meat did you? Get over yourself! This is actually a stuffed toy yeti foot that looks like it has been severed from the real thing. It is completely inedible unless your doctor has told you that you need more polyester in your diet. This is a great gift for the young and the young at heart, and it will go perfectly with Canned Unicorn Meat and Canned Dragon Meat. 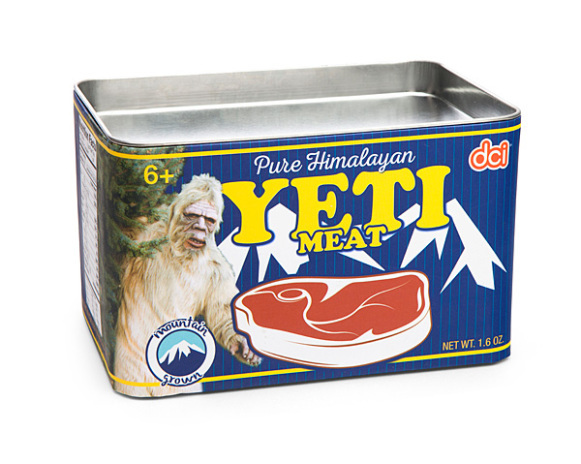 To order your own supply of Canned Yeti Meat, click here.